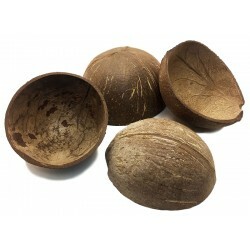 Coconut Shell halves are great natural terrarium accents. They can be used as hides, water dishes, dusted insect trays (to prevent harming sensitive plants), as well as a breeding area for frogs. 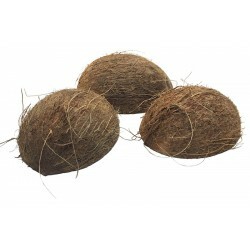 These still have the coconut fiber on them for an even more natural look! 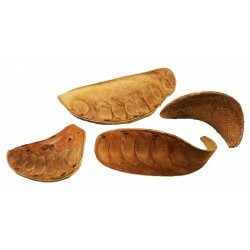 Size: 3" - 5" SOLD INDIVIDUALLY NOTE: Being a natural product, each shell will naturally vary in size, color and shape. 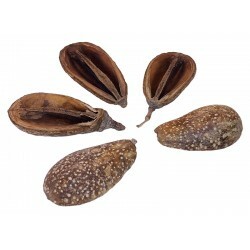 Add some natural accents to your terrarium with these Natural Curved Seed Pods! Size: 3" - 7" SOLD INDIVIDUALLY NOTE: Being a natural product, each piece will naturally vary in size, shape and color. 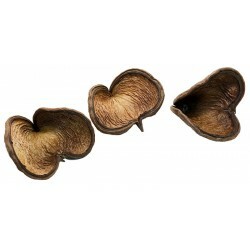 Add some natural accents to your terrarium with these Natural Elephant Ear Seed Pods! Size: 3.5" - 7.5" SOLD INDIVIDUALLY NOTE: Being a natural product, each piece will naturally vary in size, shape and color. 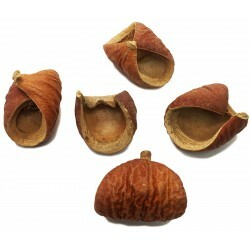 Add some natural accents to your terrarium with these Nut Pods! Size: 1" - 1.75" SOLD INDIVIDUALLY NOTE: Being a natural product, each piece will naturally vary in size, shape and color. 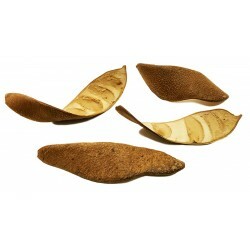 Add some natural accents to your terrarium with these Pear Pods! Size: 1.5" - 2.5" SOLD INDIVIDUALLY NOTE: Being a natural product, each piece will naturally vary in size, shape and color. 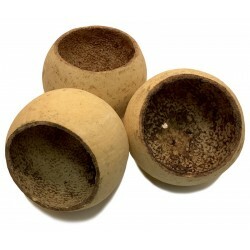 Add some natural accents to your terrarium with these Natural Pod Heads! Size: 3" - 4.5" SOLD INDIVIDUALLY NOTE: Being a natural product, each piece will naturally vary in size, shape and color.